Zuraidah Binti Darus is a Librarian at Sultanah Bahiyah Library, Universiti Utara Malaysia. She will be talking about the institutional repository operations at her institution. In 2014, Perpustakaan Sultanah Bahiyah, University Utara Malaysia in cooperation with Malaysia System Librarian (MySyL) group members has decided to develop Malaysia Academic Library Institutional Repositories (MALRep) as a platform that unify 20 public universities and 5 government link cooperation university libraries repositories metadata in a single page. This unification able to provide quick and easy access to public and increase the visibility of university’s publication. The purpose of this paper is to share the experience of UUM in developing MALRep. It was developed using open source software named Vufind. Among the features available are search with faceted results, resource suggestions and access data through Open Search, OAI and Solr. Scott is Executive Committee Member for Open Science at Open Data Hong Kong, and employed by the genomics organization BGI on publishing and data projects. As Executive Editor of Gigascience, the open and reproducible research journal based out of the BGI offices in Hong Kong, he works on data publishing and infrastructure. He is passionate about reproducible research, citizen science and open data, and involved in a number of open science projects such as the crowdsourcing of the deadly European 2011 E. coli outbreak, the Bauhinia Genome project, and Mosquito Alert. Li-Ping Ku (Alan Ku) is a senior associate researcher in National Science Library of Chinese Academy of Sciences (NSL, CAS), focus on policy research and recommendation in the fields of open access, copyright, and data management. He has a professor position in the School of Economics and Management of University of Chinese Academy of Sciences (UCAS), his lectures course names the information user and service studies. He also works for Chinese Institutional Repository Implementation Group (CIRG), China arXiv service Group (CASG) and Chinese Data Librarian Group (CDLG). Dr. Devika Madalli is a Professor of the Documentation Research and Training Centre, Indian Statistical Institute, India and Adjunct faculty, DISI, University of Trento, Italy. Prof. Madalli is the co-chair of the Agriculture Data Interest Group [IGAD], Research Data Alliance [RDA]. She is a member and consultant to several international organizations and initiatives including UNFAO, UNESCO, OECD, Global Science Forum experts groups on International Coordination of Data infrastructures and GSF/CODATA experts committee on Business Models for Data Repositories. She also serves as a member of editorial panels of prestigious journals such as Knowledge Organization (ISKO) and IFLA journal [issue on Research data]. She is a technical advisory board member [elect] of the Research Data Alliance. Assoc. Prof. Dr. Zuraidah Abd Manaf is a lecturer at UiTM since 1999. She obtained her doctoral degree from the International Islamic University Malaysia (IIUM) in 2008. 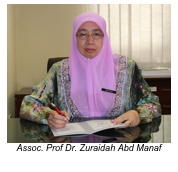 Prior to joining UiTM she was the Librarian at the Malaysian Agricultural Research and Development Institute (MARDI) as a librarian from 1989 until 1999. Currently she is seconded to Ministry of Higher Education heading the Malaysia Citation Center. Her areas of specialisation include Information Storage & Retrieval and Resource Description & Discovery. Her research interests encompass a broad area involving Bibliometric, Organisation of Information, Digitisation of Cultural Heritage Information, Preservation of Digital Cultural Heritage Information and Security, Risk Management for Digital Resources. Nobuko Miyairi is Regional Director, Asia Pacific for ORCID (http://orcid.org), based in Tokyo, Japan. Nobuko builds relationships with stakeholders across Asia Pacific to expand ORCID adoption and awareness in the research community. Prior to joining ORCID, Nobuko held positions at Thomson Reuters and Nature Publishing Group, where she worked closely with research organizations, government policy makers and funding bodies to provide research management solutions. A librarian by training, Nobuko earned an MLIS from the University of Hawaii at Manoa. Suhaimi Napis received his BS (Biology) and MS (Immunobiology) degrees from Iowa State University and PhD (Plant Molecular Biology) from University of Durham. He is the co-founder of Malaysian Research and Education Network (MYREN) linking Malaysian research and education institutions to GEANT through TransEurasian Information Network (TEIN). He is also helped spur the early development of Grid and High Performance Computing (HPC and eventually cloud. He has been involved in EU-funded research since 2008 starting with EUAsiaGrid Project followed by EGI-InSPIRE and now EGI-ENGAGE on Disaster Mitigation Competency Centre.. Apart from being instrumental in the development of Malaysia’s Grid computing based on EGI, he is also actively developing the trust framework for Identity and Access Management of Malaysia called Secure Identity Federation on Unified Lightweight Access Management (SIFULAN.my) together with GAKUNIN Japanese Academic Access Federation with strong collaboration with TERENA’s REFEDS. He is a member of the Identity and Access Management Task Force of Asia Pacific Advanced Network (APAN) to start SAML/eduGAIN/Eduroam roll-out among member nations. He is now embarking on Asia Open Access Community initiative under Confederation of Open Access Repositories (COAR) He is a Member of ICT Steering Committee of both Ministry of Education (Lower) and Ministry of Higher Education. He teaches Bioinformatics at the Department of Cell and Molecular Biology, Universiti Putra Malaysia and presently holds a position as Deputy Director and Head, Private/Industrial and International Grants Division of Research Management Centre, Universiti Putra Malaysia. Goh Su Nee is heading the research data management (RDM) unit in the Scholarly Communication Division in the Nanyang Technological University Libraries. She and her team helped to draft the Nanyang Technological University (NTU) Research Data Policy as well as the NTU Data Management Plan template, which were both launched in April 2016. They are currently providing training and consultation on DMP writing and RDM to NTU researchers. A RDM online guide has been published to facilitate NTU researchers’ appreciation of RDM as well as the NTU DMP template. A major project in the pipeline is the launch of NTU open-access research data repository. This team also works closely with other data librarians in the Singapore Research Data Management Working Committee on topics such as open-access data sharing and implications for academic libraries. Yeo Pin Pin is the Head of Scholarly Communication at Singapore Management University Libraries. She has a graduate diploma in Information Management-Librarianship from UNSW and B. Soc. Sc. (Hons) from NUS. She worked at National University of Singapore and the University of New South Wales (Singapore Campus) previously, and joined SMU as the Research Librarian for Social Sciences in 2007. She became the Head of Information Services in 2010 and then the Head of Scholarly Communication in 2013. 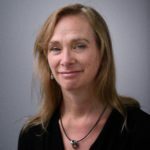 In this current role, she manages the SMU institutional repository, research data services, oral history, research publications system, heritage collections and support for measuring the citation impact of SMU publications. Kathleen Shearer has been the Executive Director of the Confederation of Open Access Repositories (COAR) since 2014. COAR is an international association of repository initiatives launched in October 2009, with a membership of over 120 institutions worldwide from 36 countries in 5 continents. COAR’s mission is to promote greater visibility and application of research through global networks of Open Access repositories, through connecting repositories, strategic visioning, and capacity building. Shearer has also worked as a consultant in the area of open access and research data management for over a decade for the Canadian Association of Research Libraries and is also a strategic consultant with the US-based Association of Research Libraries. Most recently, she has been named as a member of the CASRAI Executive Board. 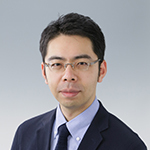 Tadasuke Taguchi is Chief of Research Products Team, Scholarly and Academic Information Division, Cyber Science Infrastructure Development Department, National Institute of Informatics(NII), Japan. Currently his team manages a shared Institutional repositories facility JAIRO Cloud. He was in charge of public service and library system administration as librarian at the University of Tokyo until March 2016. Aaron Tay has worked in academic libraries in Singapore for almost 9 years and he is currently library analytics manager at the Singapore Management University. He has many interests in the field of librarianship including discovery, bibliometrics, and open access and blogs his ideas & thoughts at http://musingsaboutlibrarianship.blogspot.sg/ a popular blog for librarians. He can also be found on twitter @aarontay. Tatsuji Tomioka is Deputy Head of Academic Support Division, Kyoto University Library, Japan. He has been engaging in various library services, serials (print & e-journals), catalog, and public services. Since 2016, he is in charge of open-access & digital archive. Kazutsuna Yamaji was received his Ph.D. degree in Systems and Information Engineering from the Toyohashi University of Technology, Japan, in 2000. Currently he is an associate professor at the National Institute of Informatics (NII), Japan. His primary research interests include modeling and developing trusted e-science space in order to share and reuse research materials.